If you have children, calculating child support is an inevitable requirement of any divorce. If you'll be the noncustodial parent and you work for an employer, identifying your income for support calculations is relatively easy. Unless you have investments or other sources of unearned income, your pay stubs will tell the story. If you have your own business, however, the process becomes more complicated, particularly if you operate as a sole proprietor. If you're a sole proprietor, the courts in most states take the position that your gross receipts from doing business are not your actual income for purposes of child support. Your gross receipts represent your business revenues for the year, but presumably it cost you something to earn that money. If you're an artist, you had to purchase canvas and paint. If you have a construction company, you needed equipment and may even have had to pay employees to help you. Child support is based on your gross receipts less your reasonable and necessary costs of doing business. Reasonable and necessary may not include the spa treatment you gave your secretary for her birthday, but it should cover wages, postage, advertising and similar routine business expenses. In addition to being reasonable and necessary, many states also specifically require that the business expenses you deduct from your gross receipts be "actual" and "incurred." In other words, you can't subtract $15,000 for office supplies if you never got around to paying one or two invoices. Ordering supplies isn't sufficient -- you must actually have paid for them. And depreciation only counts for the Internal Revenue Service. If your business involves equipment that you depreciate for tax purposes, you can't deduct these amounts from your gross receipts when calculating child support. If you write yourself a paycheck from your business, the court probably won't let you use this figure for child support calculations. In 2012, the Georgia Supreme Court ruled that this income is not necessarily indicative of the money that's actually available to you to help support your children after divorce. For example, if your gross business receipts for the year were $100,000, and if you had $25,000 in reasonable, necessary, actual expenses, your income for support calculations would be $75,000. This is the case even if you wrote yourself a paycheck every week for $1,000. Your income is not $52,000, but rather what it could have been if you had chosen to take all the profits from your business. As part of your divorce, you will most likely have to complete a financial affidavit for the court, detailing your income, assets and debts. If you're a sole proprietor, you can often attach a copy of your tax return, complete with your Schedule C, to substantiate your gross receipts and your costs of doing business. If you don't claim any depreciation deductions, the income arrived at on your Schedule C after deducting business expenses is generally indicative of the income you have available for child support purposes. 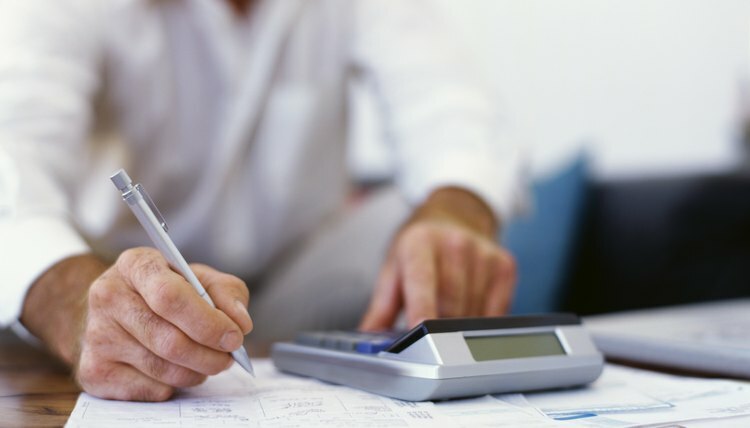 If you did take depreciation deductions, you must add them back to arrive at your income. If your business is a partnership or a corporation, the Form K-1 you receive from the business represents the income that you must personally pay taxes on. Form K-1 acts much like a W-2 if you worked for someone else. It provides relatively clear-cut evidence of your income for support purposes. Because a sole proprietorship doesn’t require the creation of any formal business entity, it isn’t necessary to convert a business from a sole proprietorship to a hobby. There are, however, significant differences in your federal income tax filings if you determine that your activities relate more to a hobby than a profit-seeking business.